Since I switched to digital in 2002 I shot Nikon, Canon and Sony. 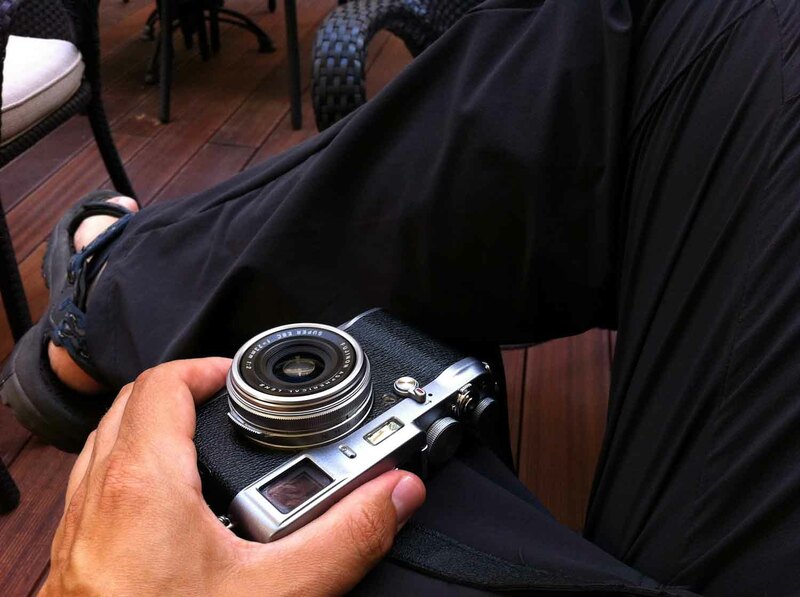 In 2011 I bought a Fuji X100. This year I finally sold my last pieces of “non-Fuji” photo gear. Here I try to explain what happened and why I finally switched to Fuji. It all started with the Nikon D1 but I was a Nikon shooter before: F801 and later F100 in the old days where cameras had interchangeable sensors. Back then we called them film and they came in different sensitivities. I shot slide film so it was mostly ISO 50 or ISO 100. There was no IBIS and no OIS. I still managed to take great shots. A sturdy tripod was the key and camera weight was not important at all. When my Nikon gear was stolen I switched to Canon because at that time there was no full frame camera from Nikon. I shot the Canon 5D plus 24-105L and 70-200/4L. Image stabilised lenses and a full frame sensor that allowed ISO 1.600 meant that I rarely used my tripods anymore. I also was delighted how light and small camera and lenses were compared to what I used to shoot with before. At that time I started to travel a lot for work to Eastern Europe. Of course I did not bring my still big DSLR so I was limited to small sensor compact cameras. In 2010, just before my first vacation in the USA, I got the Sony NEX 5. A super small mirrorless camera with an APS-C sized sensor. Despite I took 2 DSLRs (5D and 500D) with me I mainly shot with the Sony NEX 5. Of course the Sony was a typical mk I product. A camera that really showed the future potential of the system but also had many flaws. Just like the other mk I products that I added later: Fuji X100, Fuji X Pro-1 or Sony A7R. Amazing break through products but somehow unpolished. But the Sony NEX5 changed something for me. I was always used to burden myself down with tons of equipment. Especially on big vacations I wanted to bring all my camera gear. On my first three week trip to Canada in 2001 I brought a 20kg back bag full of cameras and lenses plus a 4kg tripod. Madness! Of course that was before airlines started to check the weight of your carry-on luggage. After USA 2010 I knew that I don’t need a big camera to get great results. The only fly in the ointment was that the small camera was not much fun to shoot. No viewfinder and a horrible menu that you had to enter every time you left auto mode. The other problem of the Sony was the lack of lenses. When Sony finally introduced their first high quality prime lens it came from Zeiss and its price was 1.000 EURO. Luckily Fuji introduced the X100. For about the same money I could get a great lens with a great camera attached to it. So I got the X100. 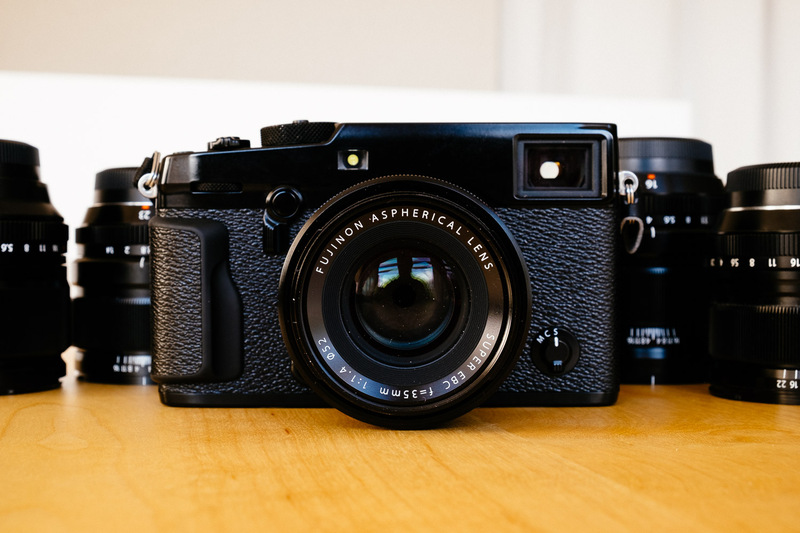 The Fuji X100 had the same fantastic image quality of the NEX 5 but otherwise it was the exact opposite. There was a fantastic hybrid viewfinder, a noiseless leave shutter, an aperture ring and a shutter dial. The menu was crippled too but there was no need to enter it. Initially AF was super slow but there were numerous firmware upgrades that transferred the camera. And of course there was the best auto white balance of all cameras that I have ever owned. The Fuji X100 was fun to shoot and it changed the way I take pictures. Another year later I got a second hand Fuji X Pro-1 together with the 18mm and the 35mm prime lenses. Again Fuji improved the camera with firmware updates but it never became a fast camera. But I adapted my shooting style and learned to work around its short comings and I always enjoyed to shoot with it. Then came the X-T1 and this year the X Pro-2. Fuji improved AF, EVF and overall performance with every new camera. Now Fuji finally gives us an overall shooting performance that is as close as it gets to an DSLR regarding focus tracking and responsiveness but still retains that special “old-school” handling so many of us love so much. Aperture ring on the lens, shutter speed dial and ISO dial! A shooting experience that you can’t get from Canon, Nikon or Sony. Which Fuji camera should you get? 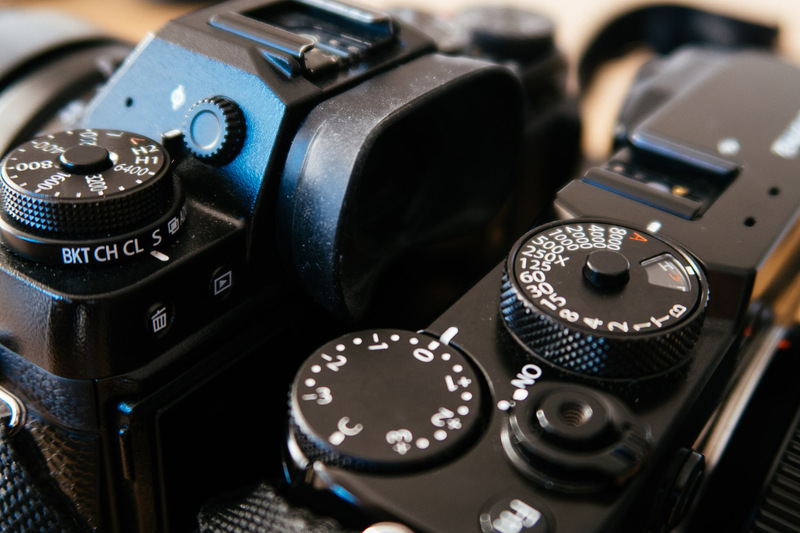 Usually I recommend to take a look at second hand gear for value but mirrorless cameras are still rather new and every generation brought great improvements over the previous one. Fuji is no exception. The new 24MP sensor alone is reason enough to choose the newest generation. If your budget is low I point to the X Pro-1 which can be had for very little money today. X Pro-2, X-T2, X-T20 or the X100F? For me the answer is simple: The beauty of Fuji cameras is that you never need to enter the menu. Of course that is only true for their top of the line cameras: X Pro-2, X-T2 and X100F. Because of that I recommend to get one out of those three. Control dials for aperture, shutter speed and ISO really make the difference. Those three are also the only Fuji cameras that have a dedicated joy stick to select the AF sensor. People coming from smartphones might miss a touchscreen but trust me on that: A camera needs a touchscreen like a fish needs a bicycle. So which one to get? With the X100F you can’t change lenses. Forget about the conversion lenses. If you can live with a fixed 23mm (35mm) lens get it but I see it more as a compact camera you get in addition to your system camera. X Pro-2 or X-T2? Or hybrid viewfinder versus tilt screen. Fact is that only the X Pro-2 has the great hybrid viewfinder that you can’t get from any other camera maker. But it is also a fact that it only works best with the smaller prime lenses. It doesn’t work with the 14mm or the 16mm lens because it doesn’t cover the whole field of the first and the later blocks a quarter of the frame. It works perfectly well with the 18mm, the new 23/2, both 35mm lenses and also with the kit lens. If you shoot with the optical viewfinder you can see outside you frame. You can see your subject before it enters the frame. Perfect for street shooting! The X-T2 offers a bigger EVF, tilt screen, 4k video and you can even add a battery grip. And it is less expensive than the X Pro-2. Pretty clear choice isn’t it? Not so fast. Don’t let the 4k video fool you. 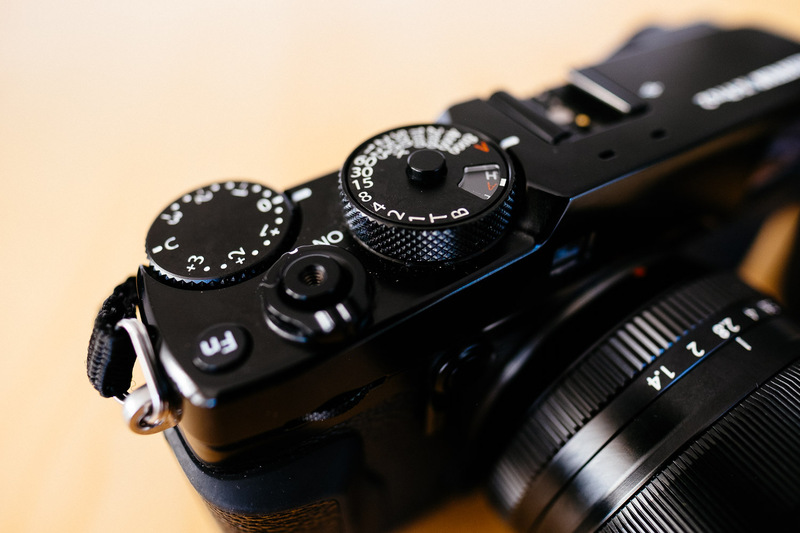 Fuji X are still no video cameras. If your focus is on video there are better options. But the X-T2 shines in two scenarios: First is action. The battery grip improves the speed and the ergonomics with larger lenses. Tracking AF can be fine tuned for different applications. Second is tripod work: The tilt screen is really great if you work from a smaller tripod or from low viewpoints. The good news first: All Fuji lenses are very good so you can’t go wrong. OK, maybe all except the 18-135 OIS. But it is also true that there are many options and it’s easy to get lost. Maybe the following recommendations help you to find you perfect set of lenses. If you come from an DSLR system, maybe even from a full frame camera, you are most likely entered Fuji because you wanted a smaller and lighter camera. That’s why it makes a lot of sense to carefully evaluate the options. If you combine the X-T2 with the battery grip and add the XF 16-55/2.8 and the XF 50-140/2.8 you will end up with a setup which will be the same weight and size of a Canon 6D plus 24-70/4 IS and 70-200/4 IS. To really make a difference you either have to opt for the slower zooms or to focus on the primes to keep your gear small and light. You don’t have to bring all your gear all the time. The beauty of the Fuji X system that I can shoot wildlife with my Fuji X Pro-2 and the XF 100-400 OIS during the day and than take the same camera plus the XF 14/2.8 R and the XF 23/2 WR to get a small and light setup for the evening in town. On my business trips to Asia I take nothing but the X Pro-2 plus the 14/2.8, the 23/2 and the 35/1.4. Small and light but extremely capable. Frist of all: WR means weather resistant, it does not mean water proof! That’s a huge difference. You still need to be careful. But what to do if you want to take pictures in the middle of a monsoon shower? There is an elegant device and it is around for quite some time: it’s called umbrella. WR is nice to have but it’s definitely not a must have. There was a time before image stabilisation and we were still able to get sharp shots. If you spend a lot of time in gear forums you might come to the conclusion that there is no way to get a sharp image without IBIS (in body image stabilisation) or OIS (optical image stabilisation in the lens) unless you use a sturdy tripod. Of course that’s nonsense. Of course you can get super sharp shots as long as you follow the simple rule. 1/focal length is your shutter speed. With digital cameras I recommend to make it 1/FL*2 or even 3 to be on the save side. If you have moving elements in your images you need a short shutter speed anyway to avoid blur caused by subject movement. It’s not only people or animals, branches or leaves in the wind are moving too. I know that some people think it is a magical lens but it is not. It is better than the typical kit lens and it is slightly faster too but it is not perfect. It’s soft on its long end and overall it can’t match the primes or the better zooms. It is still an excellent value if purchased together with the camera and it is a good starting point. 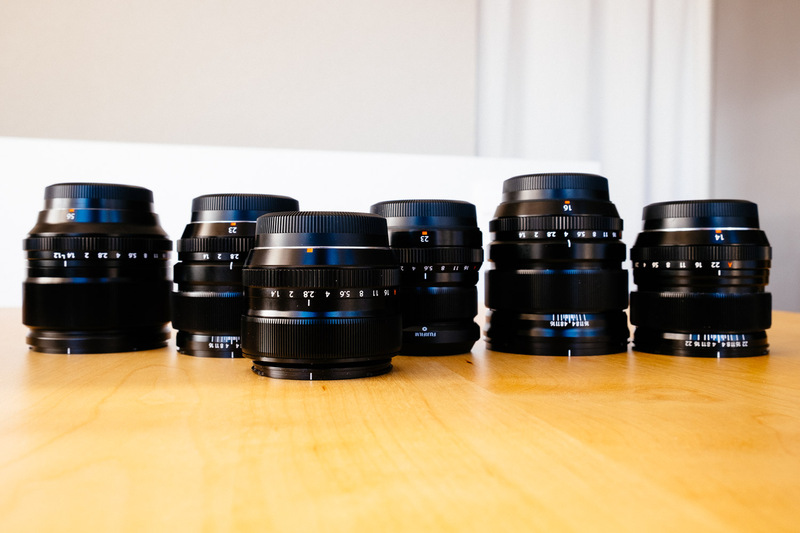 So what are the “must have” – lenses? Unfortunately the 23/1.4 and the 56/1.2 also have a negative side: AF in low light! The 35/1.4 is not a fast focuser too but the last generation cameras have improved the situation. Those older lenses are too brilliant to be ignored just because they don’t have the latest AF motor built in. This entry was posted in Article and tagged Fuji X Pro-2, Fuji X-T1, Fuji X-T2, Fuji X100, Fuji X100F, Fuji XF 14mm, Fuji XF 16mm, Fuji XF 18-55 OIS, Fuji XF 23/2 WR, Fuji XF 23mm, Fuji XF 35mm, Fuji XF 56mm by admin. Bookmark the permalink.